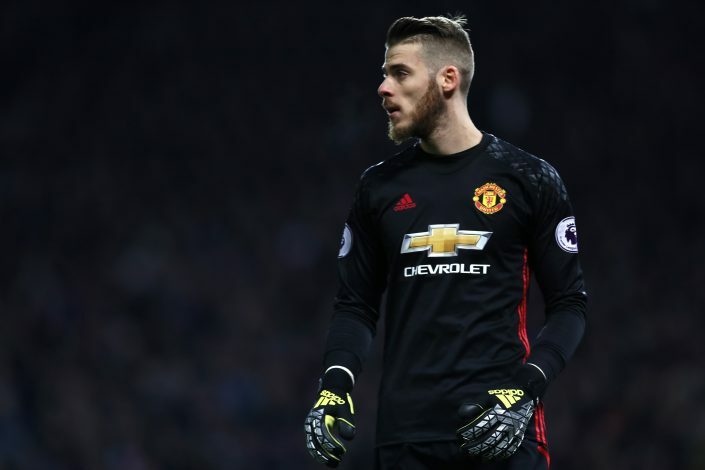 Being arguably the best goalkeeper in the world, David De Gea is continuously making some astonishing saves, putting to display his consistency and reflexes. The talented stopper came to the rescue of Manchester United in their Champions League clash with Sevilla, which concluded with a goalless draw. The visiting side were subjected to extreme pressure in the first-half, and subsequently, were even close to conceding a goal moments prior to the half-time whistle. However, a marvellous save from the Red Devils’ goalkeeper kept out Luis Muriel’s shot on goal, which has enticed a great deal of attention from the supporters. The Spaniard’s teammates were evenly stunned as much as the opposition, as the shot put to test his sublime reflexes and conviction. Nevertheless, what grabbed everyone’s attention even more than De Gea’s feat was the respectful gesture made by Muriel following the half-time whistle. The Colombian was seen approaching the former Atletico Madrid star in order to congratulate him for the exceptional save, as the pair briefly embraced each other before directing their heels towards the dressing room.